LCS-05: This is the Headquarters of the Americal Division. The two large white buildings to the right are the Americal Division Mess Hall and the water towers are for the mess hall. The photo is taken looking SW from in front or perhaps a bit up the road beside the general's office. 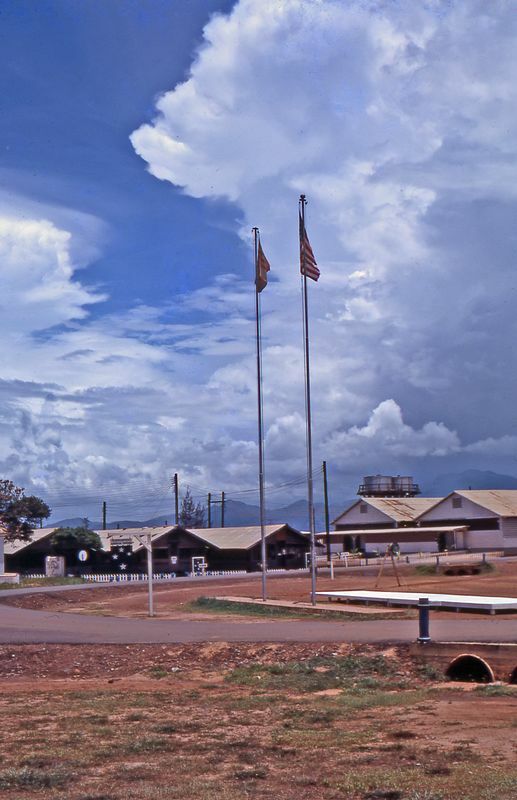 There were grunts under those storm clouds in the mountains, but Larry spent his first 6 months in Nam in the sunshine - even picking up 3 or 4 courses at the University of Maryland University College classes on the Chu Lai base.